One hundred and fifty years of evolutionary theory unravels. After years of anticipation, the genetic code of Neanderthal “cavemen” is being decoded. And it is unraveling the theory of evolution. Apparently Neanderthals are a little more closely related to humans than expected. How close? Let’s just say that the man Aunt Thelma married may really be a “Neanderthal” after all. According to a May 7, 2010 Science article, the Neanderthal genome sequencing is nearing completion. It is not complete yet, but what scientists have found so far is astounding: Humans and “Neanderthals” are practically identical at the dna code level. The researchers used dna captured from the nucleus of cells found in three bone fragments from three different female Neanderthals discovered in Croatia. The scientists then compared the Neanderthal genome to the human at 14,000 protein-coding gene segments that differ between humans and chimpanzees. In doing so, they looked at over 3 billion combinations of four key protein molecules. What did the scientists find? Simply put: Neanderthals are human. There was virtually no difference between the two codes. The few differences they did find were so slight that researchers say that they are functionally irrelevant—and that if more Neanderthal genomes could be compared there might be no differences at all! But that is not all the scientists found. The data suggests Neanderthals are as closely related to humans as Chinese are to Germans, or French to Javanese. Furthermore, the genetic material analyzed indicated that Neanderthals and humans interbred and produced offspring that interbred—and regularly. Uncle Jed’s jutting eyebrow? Chalk that one down to dna passed down from generation to generation. “Whatever our differences, they’re not in the composition of your building blocks,” reported Wired Science. The “Neanderthal genome shows most humans are cavemen” (May 6). Did you get that? All those supposed pre-man, caveman bones are actually just plain old human skeletons. It is a startling admission for evolutionists because it throws a wrench into conventional evolutionary theory. According to Darwinian thought, millions of years ago ancestral monkeys began unwittingly evolving along a path that would eventually produce humans. Along the way, about 400,000 years ago, the first Neanderthal was born. Ancestral humans, however, supposedly continued evolving separately along a divergent evolutionary branch, becoming modern around 40,000 years ago. According to this theory, Neanderthals and humans lived and coexisted together for tens of thousands of years before the less robust but smarter humans killed off, or out-competed, the Neanderthals. But because Neanderthal and human ancestors diverged into separate species so long before, interbreeding would have been impossible, even though, skeletally speaking, scientists admit that Neanderthal frames fall within examples of modern living humans. This idea that Neanderthals represent a species similar to humans, but more evolutionarily advanced than apes is critical evidence commonly offered by evolutionists to prove that evolution is occurring. Thus, many evolutionists will be loath to accept the recent genetic findings. Here is the problem: Evolutionists can find lots of monkey bones. And they can find lots of human bones. They just can’t find the half-monkey, half-human bones. This presents a huge problem for them because if man was evolving from monkeys for millions of years, you would expect to find millions of these intermediary half-monkey, half-man bones. Neanderthal bones, even though relatively few of them have been found, were held up as the most hopeful proto-human candidate. The recent dna evidence grinds this theory to bone bits. But it was a theory that was becoming thoroughly discredited anyway. A “Neanderthal flute”—original above, reconstruction below. Over the years, as more Neanderthal bones have been dug up, a far different picture from the brutish, ignorant, unhygienic ape-caveman has emerged. Most scientists now admit that Neanderthals walked upright with a posture and gait like humans today. They cared for their families, buried their dead, used many types of tools, and cooked their food. Recent discoveries also show that at least some women used different types of makeup including foundation layers and blush. The main difference is that Neanderthals are slightly shorter than average, but have larger hands, thicker arm and leg bones and were significantly more muscled. They also had larger skulls, and brains about 11 percent larger than the typical human, but well within the range found today. The scientists that now admit Neanderthals were fully human have reclassified them as Homo sapiens neanderthalensis—which is just the scientific way of saying the bones are a variety of true humans. So much for the Neanderthal as an ancient monkey-man theory. But perhaps the most amazing but unreported facet of the Neanderthal story is that if scientists had just looked at the Bible, they would have known that Neanderthals were fully human in the first place. Were Neanderthals the Genesis “Giants”? The Bible describes a race of pre-Flood humans that grew to dominate the cultural landscape before being wiped out. Genesis 6:4 talks about “giants” in the land before the flood. The English word giants is translated from two original Hebrew words: Rephaim and Nephilim. The Rephaim are mentioned only after the Flood; they were tall men, like Anakim (Deuteronomy 2:11, 20). As Roy Shultz brings out in Exploring Ancient History, the word giant in Genesis 6:4 comes from the word Nephilim, which means “a feller,” or one who fells a tree because of his unusual strength. The term implies a “tough,” or a bully, an individual of great physical might. In other words, the pre-Flood Nephilim were giants in strength but not in tallness of stature. The description of the Nephilim of pre-Flood times matches perfectly with the large-boned, exceptionally muscled Neanderthals. The Bible even indicates how these Nephilim or Neanderthals were killed off. Prior to the Flood, the Earth became filled with evil and violence. It was a time of intermarrying between the different races God had created (scientists have discovered evidence of this too—a so-called “world of debauchery”). It was also a world of rapid technological advancement. The Roman god Vulcan (Rubens, c. 1637). The Bible talks about a great leader and blacksmith named Tubalcain (properly translated as Tuvalcain). He was the first to work with metal and develop instruments of war (Genesis 4:22). And in those days violence filled the Earth (Genesis 6:11, 13). The Neanderthals were no match for the swords, spears and arrows of Tuvalcain’s armies. 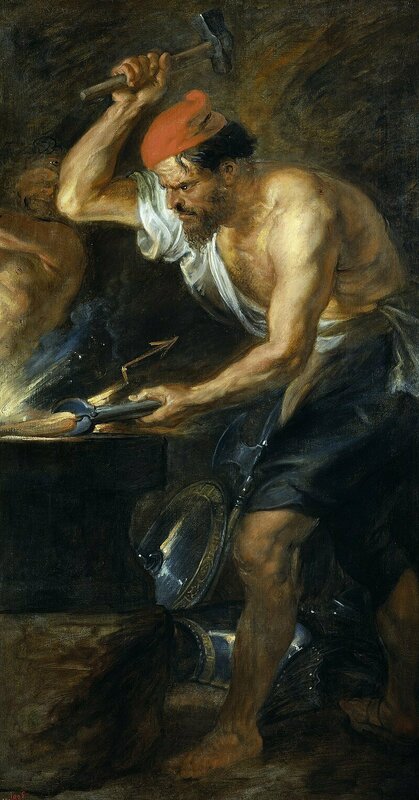 (Tuvalcain directly parallels the blacksmithing figure in Roman and Greek histories known as Vulcan/Hephaestus). According to Shultz, the “violence” that filled the Earth refers to a great war that took place before the Flood—a war that God allowed because of the degeneration and gross wickedness of the Neanderthals and other humans. This too fits with the archaeological evidence—many of the Neanderthal sites that have been uncovered show indications that cannibalism was common. 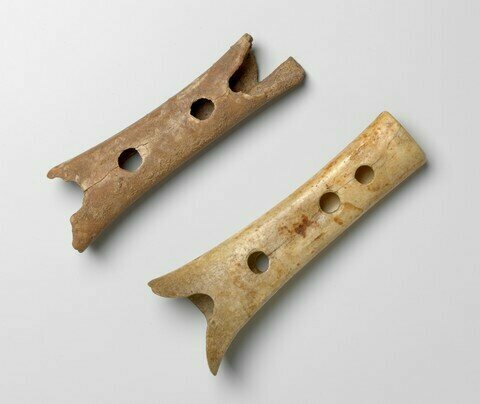 Bones found at Neanderthal cave dwellings often show the tell-tale signs of cut marks and splitting, indicating that the Neanderthals were eating the marrow of the bones. Another Neanderthal site in Germany offers more proof of the violence. Thirty-three skulls were unearthed all huddled together in a circle. Their owners’ heads had been cut off with a stone ax and buried together. 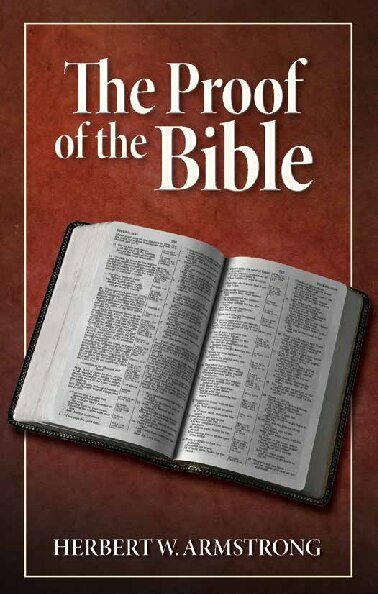 Eventually the violence and degradation became so intense that God decided to destroy all humans except Noah, his three sons and their wives in a worldwide Flood—an event that numerous archaeological and historical accounts corroborate. Fragments of this pre-Flood, Neanderthal genetic code have been transferred down through the ages and generations—scientists are detecting the traces in people today. And scientists have, for several years now, been proving that “Adam and Eve” are in fact common ancestors to all humans. And regarding diet? As opposed to the commonly-idealized picture of mammoth-hunting Neanderthals living off a solely meat-based menu, evidence shows that Neanderthals actually had a plant-based diet, which also included nuts and fungi, and that they used plant-based medicines. This parallels the biblical account (Genesis 3:17-19). Once again, science proves the Bible correct. That is certainly good news for Aunt Thelma and Uncle Jed—but not so good for the evolutionists. They will just have to modify their theory again.